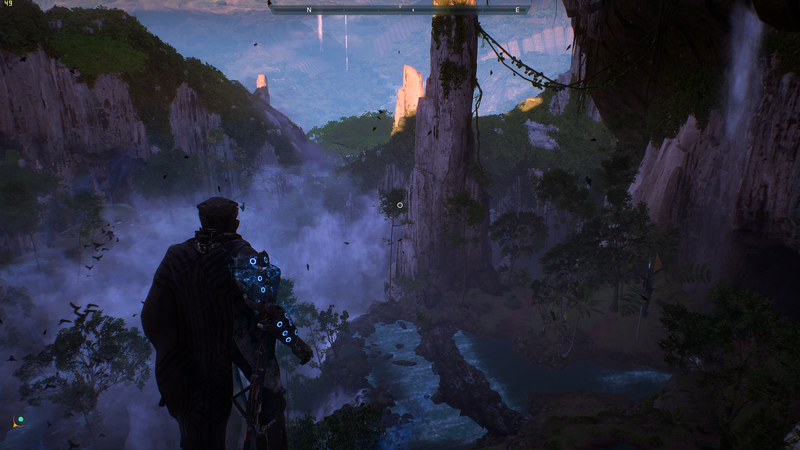 GeForce RTX owners stand to see faster performance in Anthem when enabling DLSS. Nvidia continues to shout from a mountain top (not literally) that Deep Learning Super Sampling (DLSS) is the best thing since sliced bread, assuming you're really into sliced bread. Like, totally obsessed with it. I'm paraphrasing, but if you're after a direct quote, try this—enabling DLSS in Anthem delivers "up to 40 percent faster performance." That was not an option as early as yesterday, but with the today's patch, Anthem now offers the option of enabling DLSS. You'll find it by heading to Video Settings > Displays Settings. DLSS is exclusive to owners of GeForce RTX graphics cards. In this instance, Nvidia also says you'll need to install the latest GPU driver (419.67, which dropped yesterday) and have the October 2018 update for Windows 10 installed. Assuming you can check all those boxes, faster performance awaits. If playing at 4K, DLSS provides a boost to all GeForce RTX cards. At 2560x1440, Nvidia says it works with the RTX 2080, 2070, and 2060 (the RTX 2080 Ti has more than enough horsepower to play at 1440p without DLSS). Benchmarks and chart from Nvidia. Click for original. We haven't run a full suite of benchmarks ourselves, but in limited testing Nvidia's numbers look reasonable. Using an RTX 2070, in some areas Jarred saw as much as a 35-40 percent improvement in performance, while other areas were 15-20 percent faster. Depending on your other settings, DLSS could be the difference between smooth performance at 4K on an RTX 2060/2070, versus struggling without it. And for RTX 2080 Ti owners, enabling DLSS can bump the average framerates well over the 60fps mark. How does DLSS look in Anthem? Jarred did a bit of investigation, and while opinions will vary, DLSS doesn't seem to be nearly as blurry as we've seen in other games that support the technology. Or perhaps it's that the default AA has more blur than in other games? Either way, you get faster performance without a major drop in image quality. Above is a still image comparison of DLSS Off/On, and in motion you likely won't notice the change. You'll just get higher framerates and smoother performance. There's a slight disclaimer, however. 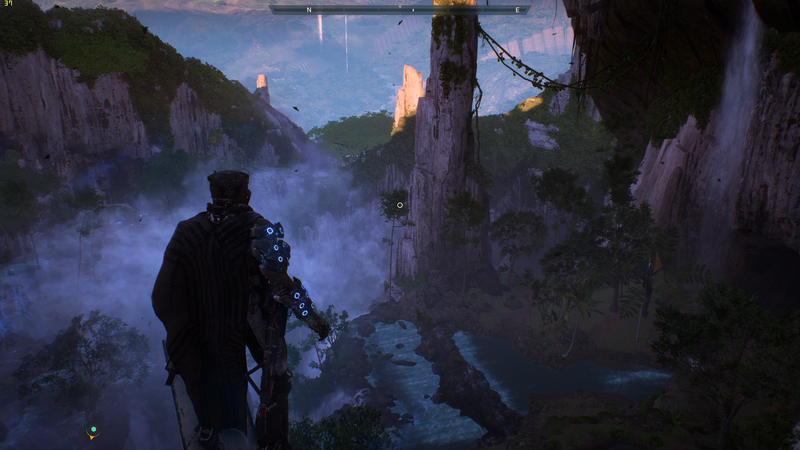 At least in testing, when you first launch Anthem with DLSS enabled, you can get a very distracting "shimmer" effect everywhere. Going into the settings and disabling DLSS, exiting the menu, then going back in and turning DLSS on again seems to fix this. It only seems to happen when the game is loaded with DLSS already enabled, but whatever the case it's likely a minor bug that can be easily fixed. This may not be the end result, either. "Even though DLSS is now available, our supercomputer never sleeps, and we continue to train and improve our deep learning neural network. When we have performance or image improvements quality, we automatically deliver them straight to your machine via Nvidia software updates," Nvidia says. If you run into any issues with DLSS in Anthem (or other games), Nvidia would like to hear from you. You can provide feedback through this questionnaire or on Nvidia's forums.